The Black guppy color goal is to be completely black with no secondary color. 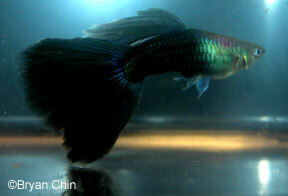 Most black guppies are small to medium size. Breeding for larger size often results in a loss of good black color and matching dorsal. This Moscow type guppy would be entered in the Black Class. 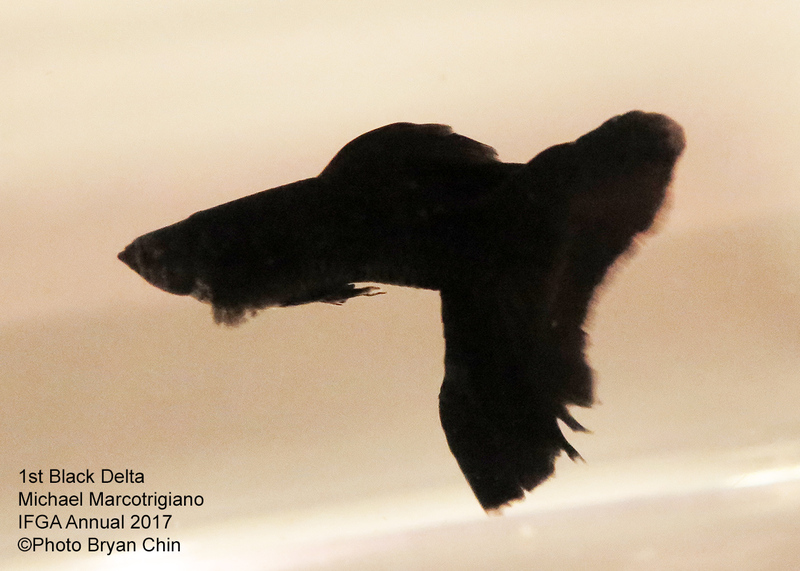 This full black guppy commonly called Black Moscow carries the midnight gene trait. This Black guppy has the X-linked and possible Y-linked half black body trait. Females usually show half black body and fins in this strain type. This would be entered in the Black class.